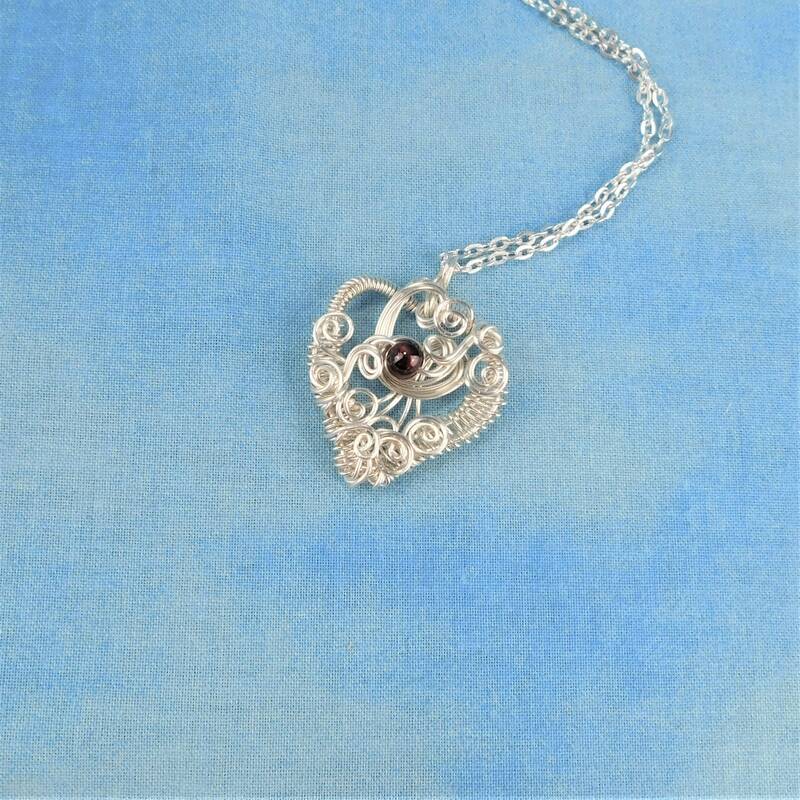 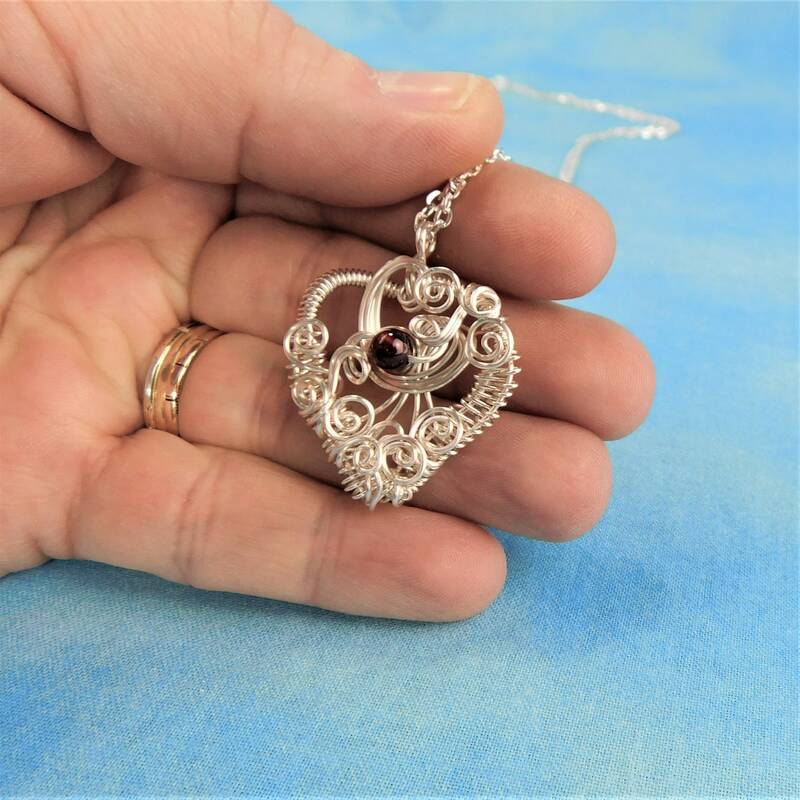 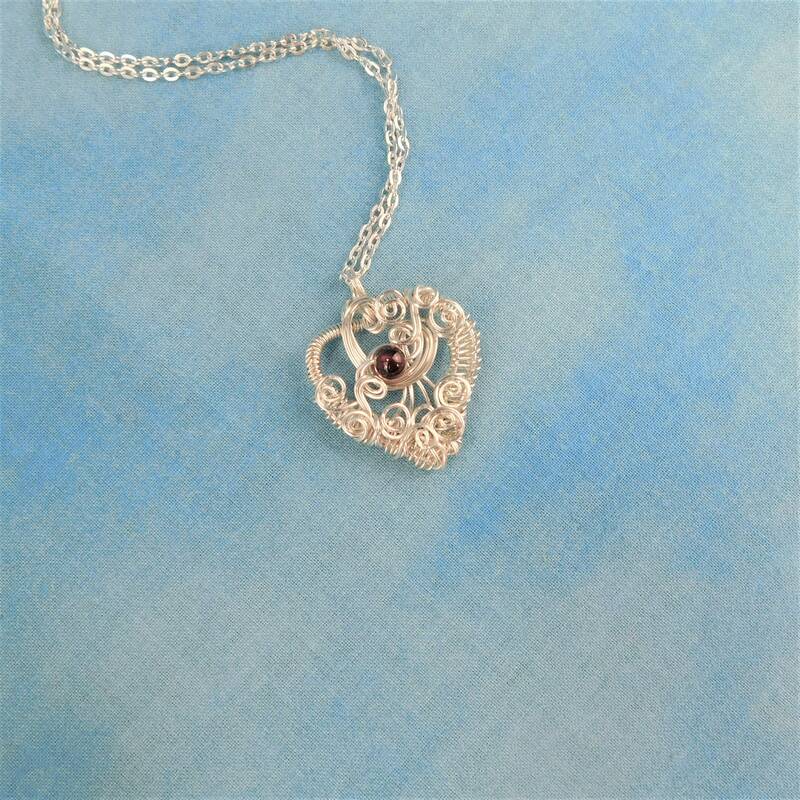 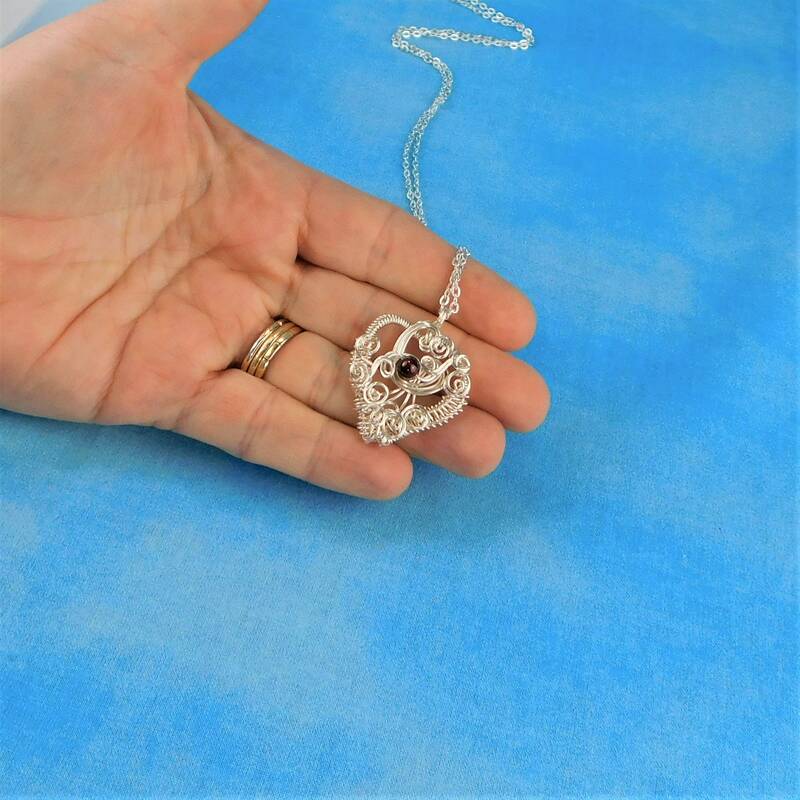 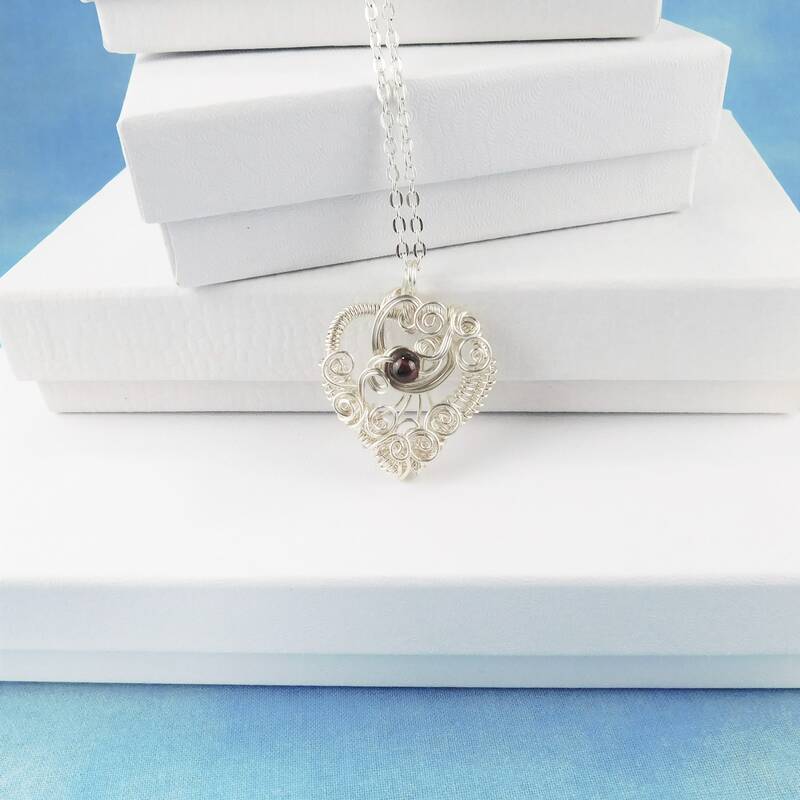 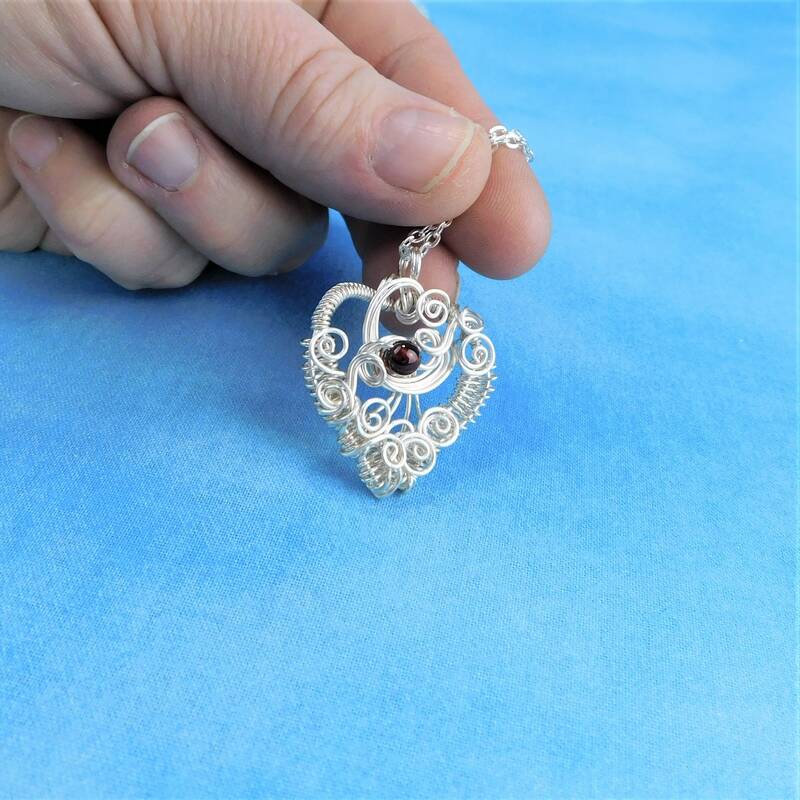 Non tarnish fine silver over copper wire is hand woven and sculpted with a small garnet bead into a delicate heart shaped pendant style necklace. 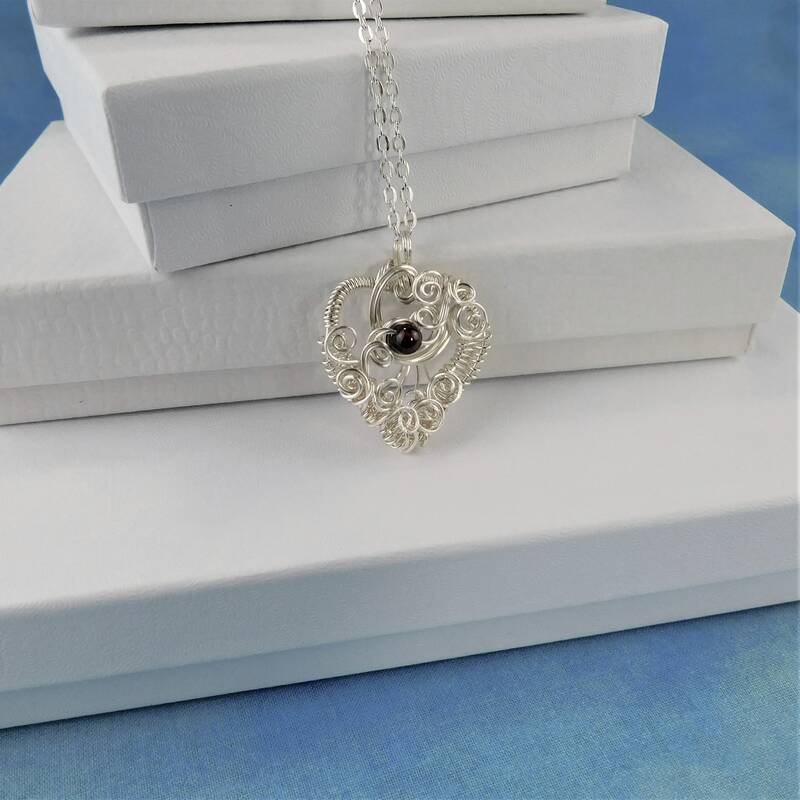 The color of this garnet is so deep red that it is reminiscent of a sweet Bing cherry. 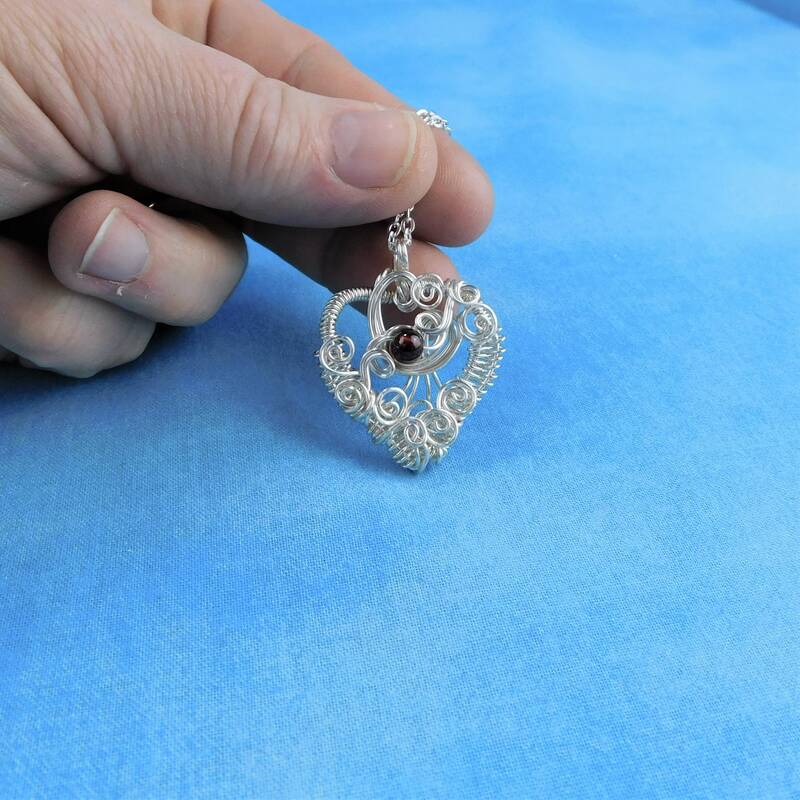 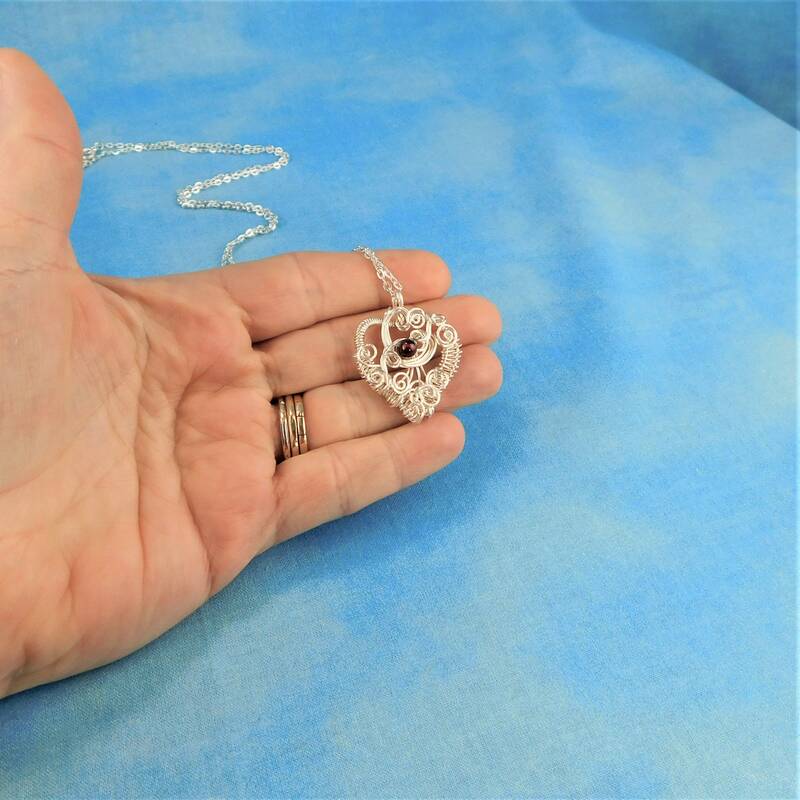 The heart measures 1 inch by 1 inch. 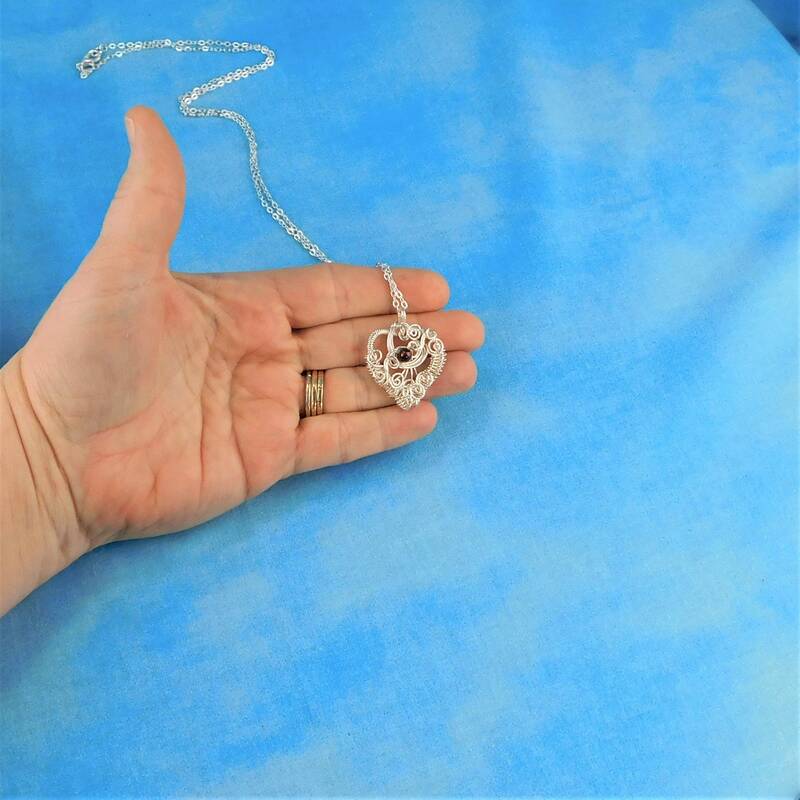 Comes with a FREE coordinating chain with lobster claw clasp, measured to your preferred length.